The French hotels group had net cash at the end of December and covered its dividend out of free cashflow. Acquisition spending may reverse that progress in 2016. But AccorHotels’ strategy of both owning and managing sites is mitigating tougher times in France and Brazil. 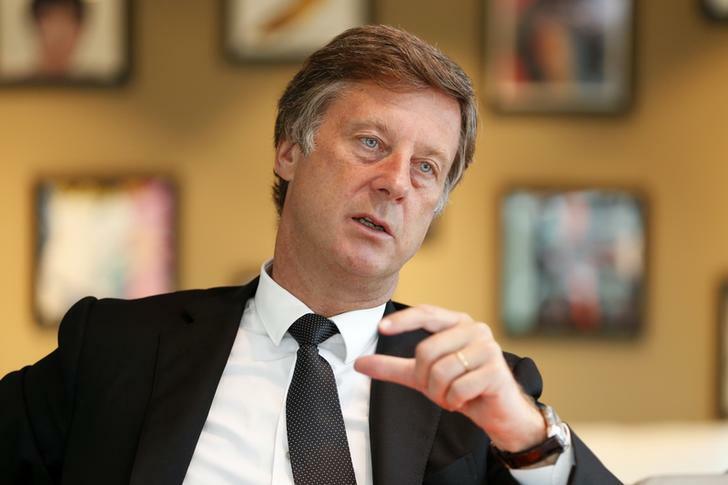 Sebastien Bazin, Chairman and Chief Executive Officer of Accor, reacts during an interview with Reuters at their company headquarters in Paris, May 26, 2014. AccorHotels said on Feb. 18 that it reached a net cash position in 2015, after recurring free cashflow rose to a record 341 million euros. The hotels group said restructuring efforts and robust demand in most markets except France and Brazil contributed to a 3.5 percent rise in like-for-like operating profit last year. AccorHotels, whose 14 hotel brands range from budget Ibis to luxury Sofitel, said earnings before interest and taxes (EBIT) reached 665 million euros in 2015. This compared with company guidance of between 655 million to 675 million euros. Analysts polled by Thomson Reuters I/B/E/S had expected 659 million euros. It also announced the acquisition of a 30 percent stake in Oasis Collections, an American marketplace for private rentals, and of a 49 percent stake in Squarebreak, a French startup offering high-end rentals in France. Shares in Accor were trading at 35.95 euros by 0917 GMT, up 4.3 percent from the previous day’s close.